Senator Duncan Spender has labelled the government’s Murray-Darling Basin cash splash and continued allegiance to the Plan as an insult to NSW farmers and irrigators. Responding to the final report into the fish kills released today, Senator Spender reiterated his strong opposition to NSW remaining part of the failing Plan. “I’m sorry but installing a few cameras so pen-pushers can watch the river from Canberra and telling farmers to get behind a Plan that is costing them their livelihoods isn’t going to cut it,” Senator Spender said. “Splashing cash around won’t fix the criminal mismanagement of water in South Australia. “Splashing cash on more government-funded research also won’t address the dire situation our regional towns are facing right now. “Splashing cash won’t bring back the dead fish or prevent future fish kills. “Splashing cash won’t give irrigators access to much-needed water that they need to keep their businesses afloat. Senator Spender replaced former Senator Leyonhjelm, who resigned from the federal parliament to contest the recent NSW state election. During his time in the Senate, Mr Leyonhjelm chaired an Inquiry into the Plan and regularly toured the regions to see the effects of it first-hand. “My former boss and I vehemently agree on this issue and the people of NSW can rest assured that we are united in our aim to protect our water. “If I am elected to retain the Senate seat, and with Mr Leyonhjelm poised to win a seat in NSW, we will combine to protect regional NSW. 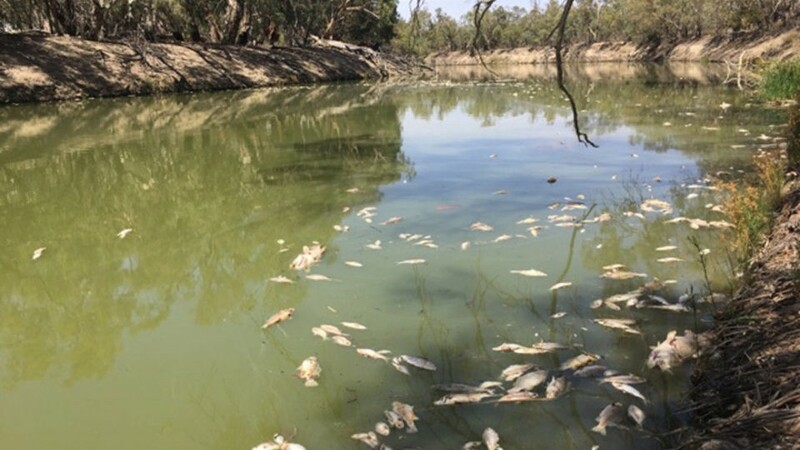 “The Liberal Democrats position is clear: NSW must withdraw from the failed Murray-Darling Basin Plan until the ongoing issues are properly addressed,” Senator Spender concluded.